What is the national dish of Slovenia? ...is a hard question, as Slovenian cuisine is so regionalized that hardly any dish is eaten throughout the country. If pressed hard enough, a possible answer would be potica. Not that it is known world-wide or anything, but everybody in Slovenia knows it, and our mothers and grandmothers even know how to make it. Also every Slovenian American knows potica, as do their neighbors. 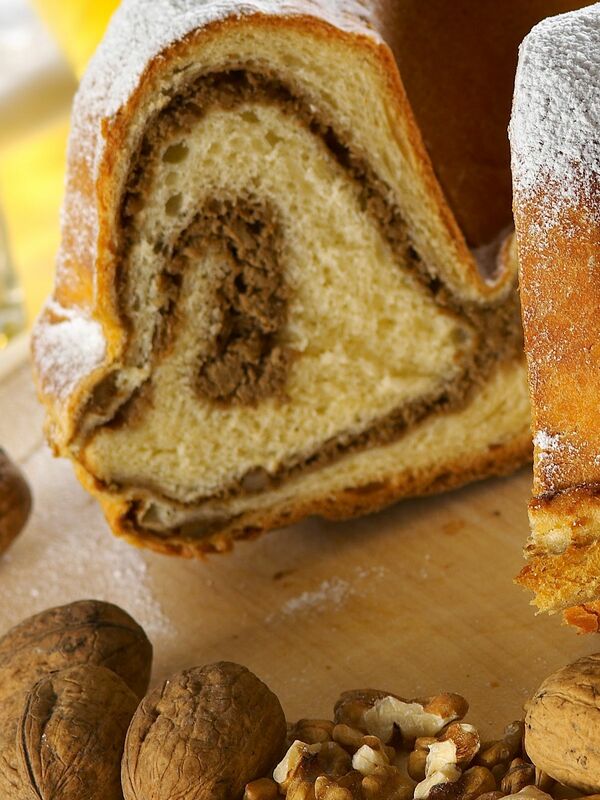 Potica is a traditional holiday cake in Slovenia. It is very rich, so it was really only ever baked on important occasions, like Christmas and Easter. Potica is a rolled dough cake with different fillings. The closest English translation of potica would be nut roll, known in the United States and some other Slavic countries, although the fillings of potica are not limited to nuts, but can also include cottage cheese, raisins, poppy seeds and tarragon. Modern fillings even include chocolate. Potica was first mentioned by Primož Trubar, a Lutheran priest who published the first books in the Slovenian language in the 16th century. It was also mentioned by Janez Vajkard Valvazor, a Slovenian polyhistor who wrote the famed The Glory of the Duchy of Carniola in the 17th century. Its recipe was first described by Valentin Vodnik, a Slovenian poet who wrote the first Slovenian recipe book in 1799. The first book entirely dedicated to potica (Poticas of Slovenia, 2013) was written by Dr. Janez Bogataj, a famous Slovenian ethnologist. Potica is such an important part of Slovenian heritage that it was twice featured on its postage stamps. The first time was in 1993 in the Europe in miniature series. The stamp was designed by the legendary Miljenko Licul, also the designer of the Slovenian passport and the national identity card, as well as the national side of the Slovenian Euro coins. The second stamp was published in 2005 in the Europa - Gastronomy series. It features three typical poticas: walnut, poppy seed and tarragon, symbolizing three geographical regions of Slovenia: the Alps, the Pannonian plains and the Mediterranean. Nowadays you can buy potica in supermarkets, you can taste it in selected restaurants throughout Slovenia, and the most famous place to taste a variety of poticas is the Potičnica at Bled island, but homemade potica is still the best. However, it is not an easy cake to make and it takes some practice. Nevertheless, a good recipe is a good start and I am sharing the best one with you. Sift the flour and keep it warm. Break up yeast in a cup, and add 3 tablespoons of flour, 1 tablespoon of sugar and enough lukewarm milk to get a thick mixture. Let rise in a warm place. In the meantime prepare the filling. In another bowl mix the remaining milk, egg yolks, sugar, salt and grated lemon rind. Add melted butter and rum, and slowly pour into the flour. Add the risen yeast. Mix everything to a dough, and beat it until it stops sticking to the wooden spoon or bowl. Scrape the dough together and cover it with a warmed up kitchen towel. Keep it in a warm place to rise to double the size, about two hours. Once risen, roll out the dough on a table covered with cloth, sprinkled with flour, into a square shape. For the filling, mix butter, egg yolks and sugar. Add sour cream and beaten egg whites and mix lightly. Spread it over the rolled dough. Sprinkle it with chopped tarragon. Roll up the potica tightly and place it in a buttered baking tin. Let is rise again for about one hour, until it doubles in size. Heat up the stove to 180℃ and bake it between 60 and 90 minutes. Tagged gastronomy, recipe, traditional. Bookmark the permalink. 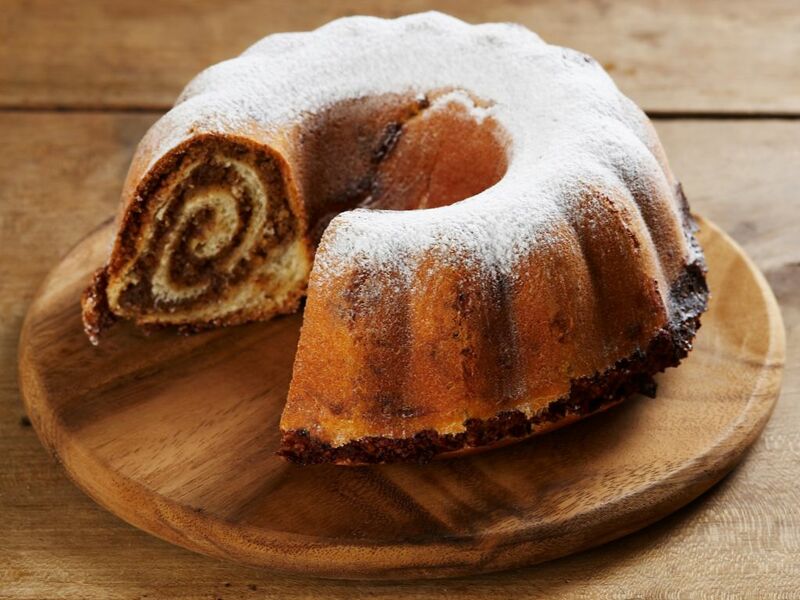 Really beautiful Potica, thank you dear for this great recipe!